Whilst out cray fishing in Cape Kidnappers in New Zealand, these lucky spectators have an amazing encounter with some seemingly friendly killer whales. Look at how calmly they approach the boat as if attempting to say hello! While many of us can only dream of encountering an orca pod in the wild, these boat passengers lived it — and one of the orcas decided to get really close, resulting in this unforgettable moment. We’ve seen out fair share of wild orca encounters, but their grace and beauty never ceases to amaze us. We can’t even begin to imagine what these people felt seeing this pod inches away from their grasp. 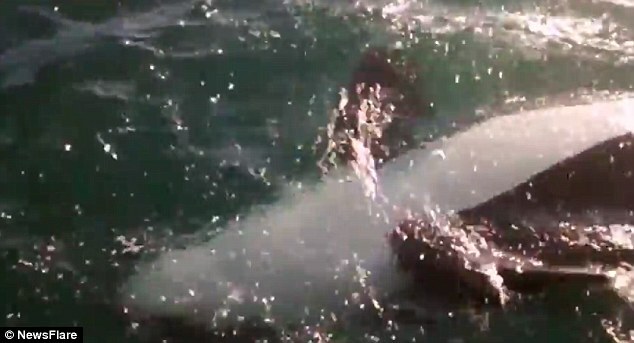 The orca in the video seems to have no fear of humans in his heart as he glides right up to the side of the boat. Although this was a brief encounter, it will most likely be forever etched in the minds of the lucky people. Now this is truly the way to experience these amazing wild animals. Responses to "Wild Orca Swims Up to Boaters and Shows Them His Belly"